Kinder Morgan Inc (NYSE:KNI) has successfully gained approval from the FTC (Federal Trade Commission) under its HSR Anti Trust Act. The company can now move forward with its purchase of the Kinder Morgan Energy Partners L.P. (NYSE:KMP). Kinder Morgan Inc (NYSE:KNI) announced its acquisition plan on August 10, 2014; according to the plan, the company will also get all the subsidiary companies and outstanding equities of Kinder Morgan Management, LLC (NYSE:KMR) together with El Paso Pipeline Partners, L.P. The company did not file for HSR approvals for its latter deals. The deal is worth a total of $70 billion, and the respective companies are expecting it to be executed by the end of the year 2014. The deal is conditional upon regulatory approvals, notifications, and votes of the shareholders and unit holders. The deal will help simplifying the structure of Kinder Morgan Group by bringing all the units under one roof; making it beneficial for not only the unit holders but also the shareholders. The company is expected to report a dividend of $2 for each share for the year 2015. The management of the company predicts that the dividend will increase by 10 percent each year for a time period of 5 years if the deal is executed successfully i.e. 2015 to 2020. The company also expects its coverage to improve by $2 billion during the same time period. 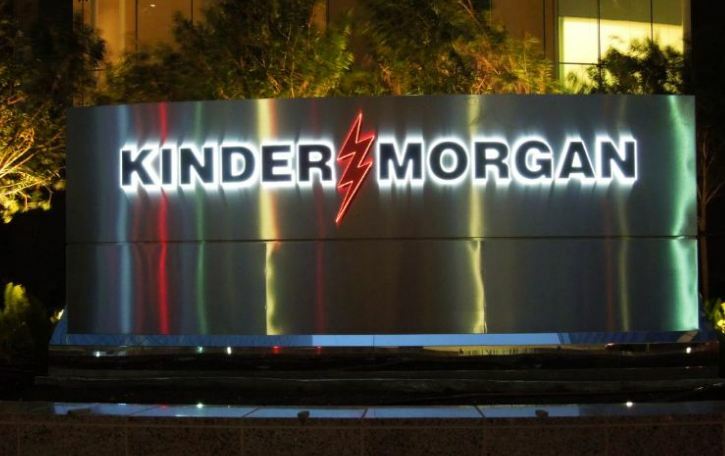 Kinder Morgan Inc (NYSE:KNI), once combined, will become the biggest energy company in the region of North America and the third largest energy company in the world. Market Analysts are of the view that the combined corporation will be worth a total of $140 billion. The deal will save a lot of tax money due to the deduction of depreciation values and future expenditures from the total amount; hence, making it even more beneficial for the shareholders of Kinder Morgan Inc (NYSE:KNI). The company is expected to grow further in the near future, especially in the region of North America, if the deal goes forward. Kinder Morgan Inc (NYSE:KNI) has pipelines running around 80,000 miles, for the easy and efficient transport of crude oil, natural gas, carbon dioxide etc. The company has around 180 terminals that are used for storing chemicals, such as coke, coal, ethanol and petroleum. Kinder Morgan Inc (NYSE:KNI) currently has a #3 Zacks rank on its stocks, together with a consensus rating of ‘Hold’. Coming to the stock prices of Kinder Morgan Inc (NYSE:KNI), the company, on the last trading day, August 26, 2014, started its stocks at a price of $40.65 and closed at a price of $40.06, after hitting the highest figures of $40.66. The company has a market capitalization of $41.61 billion with a price to earnings ratio of 34.64. The stocks of Kinder Morgan Energy Partners L.P. (NYSE:KMP), during the last trading session, started at $96.59 and ended at $95.77, after hitting the highest figures of $96.82. The unit has a market capitalization of $44.53 billion with a price to earnings ratio of 38.06.